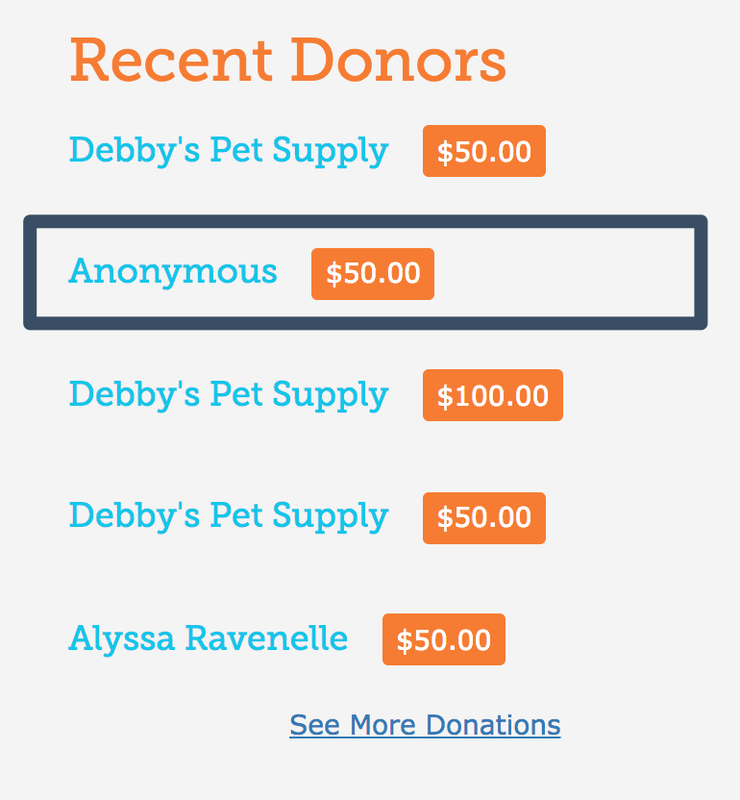 What do all of the fields on a Giving Day donation form mean? Choose an amount to give: The amount the donor would like to donate. 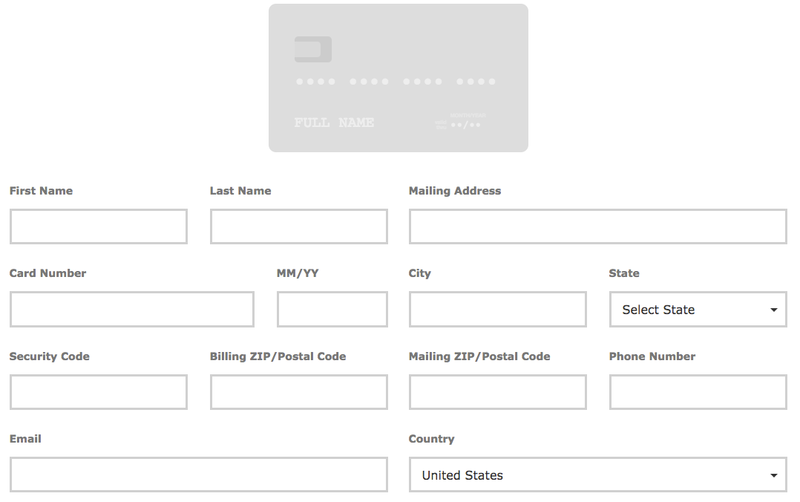 Name to Display (Optional): How the donor would like their name publicly displayed, if different from the first and last name associated with the credit card. For example, The Smith Family. 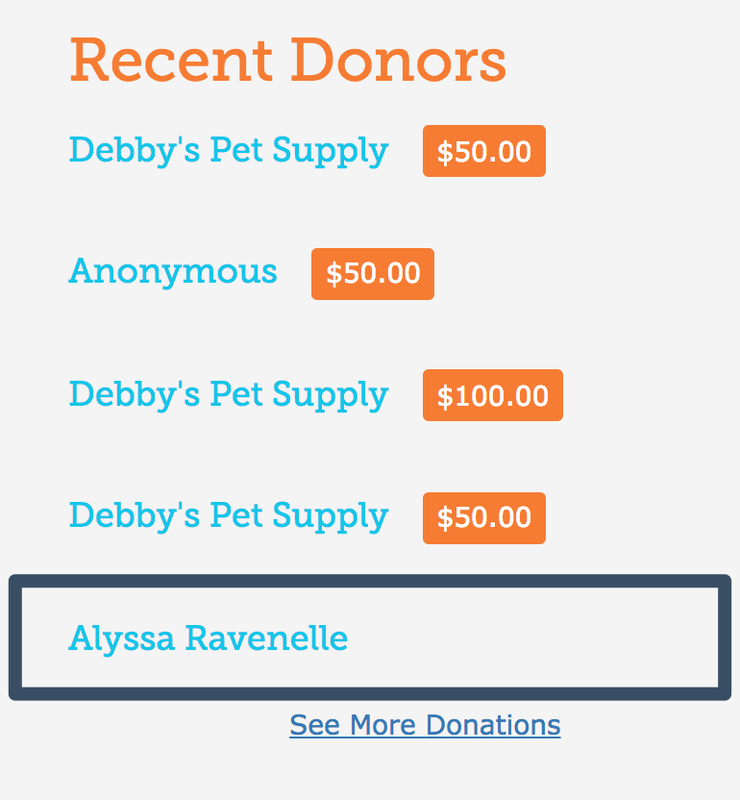 When both "Please do not display a name publicly" and "Please do not display the donation amount publicly" are checked: The donor's identity and contribution will not appear anywhere publicly on the site. The nonprofit will receive both the name and the amount donated privately. Mailing Address: Your current mailing address or address you live at. 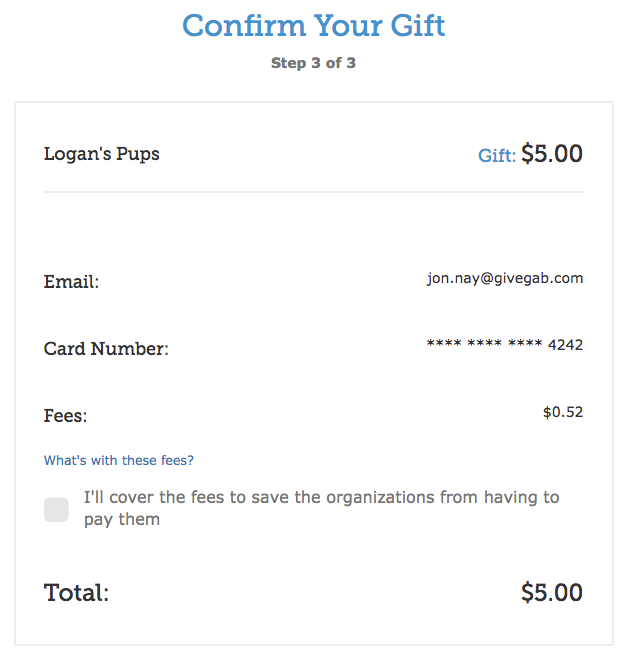 I'll cover the fees to save the organization from having to pay them: When this box is checked, the donor is choosing to increase their donation amount to cover both the GiveGab platform fee (percentage varies) and the Credit Card processing fee (2.2% + $0.30 per transaction). Note: If you need a more general explanation of how to make a donation during a Giving Day, check out this support article!